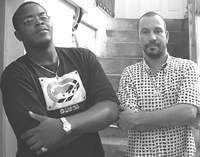 Rochard âDJ Pitbullâ Ballah will come up against veteran DJ Silbert âIce Kidâ DeFreitas who has seven disc jockey titles under his belt and over 19 years experience in the music business. However, Pitbull is not intimidated but more motivated to be coming up against one of the best in the business. âExpect another high-energy performance from me as I give Ice Kid some serious competition; biting is going to be done,â said Pitbull last Tuesday. Pitbull, who has two years experience working as a DJ at Hot 97.1 FM, said that it is an honour to be coming up against Ice Kid. âSince I have sense Iâve been hearing about Ice Kid so Iâm glad to get a chance to DJ in his presence,â he said. During an interview, Ice Kid said that he does not underestimate opponents and he will be expecting the unexpected. The veteran said that patrons could look forward to the usual great performance. He described himself as a natural talent who learns quickly. The former âHouse of Iceâ DJ said that this Saturday he will be giving people a look at new tricks and some of the same old ones. âI will be there to defend my title,â assured Ice Kid. The two DJs will be judged on a point scale ranging from 6 to 10. They will be judged on music selection, skill level (scratch ability, tricks and synchronicity), uniqueness, technique and overall stage presence among other categories. Sales and marketing representative at the St. Vincent Brewery, Vance Garraway, said that the winner of Saturdayâs event will do battle against DJs from nine other countries on October 23. The winner will wear the Caribbean Heineken Green Synergy Disc Jockey crown.